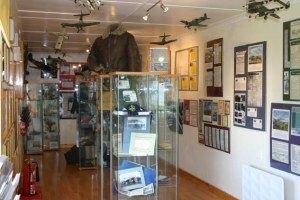 This new museum was opened to visitors for the first time in May 2005 at a site adjacent to the former RAF Dalcross. There is an indoor display covering RAF Kinloss and Lossiemouth and of course RAF Dalcross, with special sections on Capt. Fresson and the early days of flying in the Highlands. 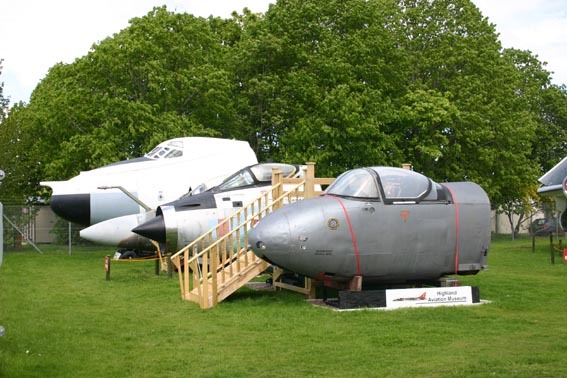 There is cockpit access to the Valiant, Jet Provost and Herald. Dalcross Industrial Estate, Inverness. Close to Inverness Airport. Saturdays, Sundays and public holidays 10.00 am to 4.30 pm, April to November. Tea, Coffee etc is available and there are Toilets (with disabled access). 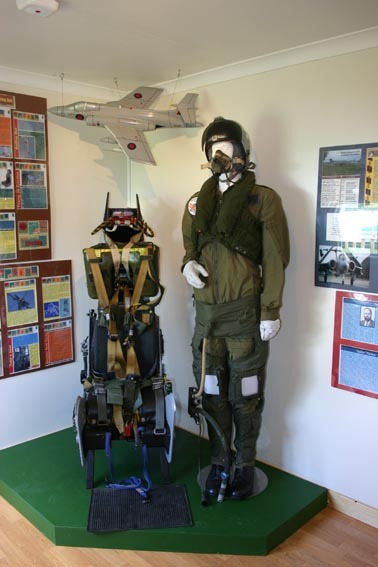 There is disabled access to all parts of the Museum except cockpits, but work is in progress to make this available. Notes: Sea Hawk FGA.6 WV795 has moved from this location. The cockpits of Vampire T.11 WZ557 and Meteor NF.11 WM145 never arrived at this location. 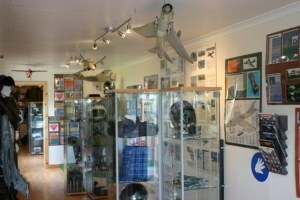 Highland Aviation Museum, 9 Dalcross Industrial Estate, by Inverness Airport, Inverness, IV2 7XB, Scotland. Tel: 01667 461100. My children went with their auntie and cousin – youngest child aged 10 and oldest 18 – they all loved it! They really had a ball. We don’t live too far away and had passed many times but never went in. Now the youngsters are dying to take me! A gem of a place. Went today after seeing a photograph on the internet. Fantastic, as said above a real gem of a place. Its great to get this close and my niece and nephew had a ball. A volunteer who used to be a navigator on the Nimrod let my nephew sit in two of the cockpits even though the weather was not great. Highly recommended. I will have to return with a macro lens when the sun is out. MINTED!!! the first time i went you could not get in the nimrod but the second time i went you could.i also got the man who was a navigator on the nimrod. there is a video on youtube about a nimrod (the one at the museum) its called nimrod vs russion sub its a bit pathetic but it is a little old and also the volunter (nimrod navigator)is in it.great day out highly recommend it you also get too sit in most of the planes including the nimrod. MINTED!!! make visit Spec Savers as I did not See any Ads, or directions to your Museum,It was only tonight that I received this Highly Recommended “Signal”telling me what I missed. I hope he makes makes a smooth landing at Filton, it is the nearest Field to Yate his Homebase. Your Section (Take Off and Landing ?) certainly made it Bob’s Day!!! Your decription of the Tornado says `complete` it looks far from it in the pictures? It says on the above notes that the Blackburn Buccaneer S.1 is a nose, but as you can see in the photos it is actually a complete aircraft. 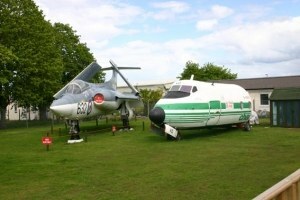 I suspect that the confusion was caused by the fact that as mentioned they also have just the nose section of a Hawker Siddeley Buccaneer S.2B.